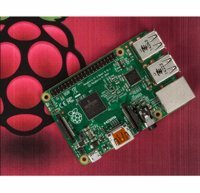 Raspberry Pi recently celebrated its 5th birthday and during the celebrations Eben Upton, founder of the Raspberry Pi Foundation announced that it had become the third best selling general purpose computer platform, behind only the Mac and the PC. TJBot is is essentially an enclosure for a Raspberry Pi. The open source project on GitHub has downloadable files for a 3D printed version or for a laser cut template with a third option, not yet available, of ordering one.